Our body’s circadian rhythm is its internal clock. Our biological schedule keeps track of when we sleep, when we wake up, when and what we need to eat to store energy for the work we need to do. All these activities are part of the circadian rhythm and if it’s perfectly aligned with our work life, our body functions smoothly and just the way it should. However, when our schedule becomes erratic, our internal clock goes out of order and our body starts to suffer for it. The circadian rhythm makes sure that your body is in perfect working order by maintaining the sleep schedule. It is what makes people sleepiest from midnight to dawn. Human beings are diurnal creatures. This means our bodies are hard-wired to rest at night and work when the sun is up. Circadian rhythms dictate when we sleep so that we can abide by our body and brain’s needs. Those who suffer from a messed up sleep schedule often suffer the effects of it by being unable to perform well in school, at work, feeling drowsy throughout the day and always feeling restless. It’s vital to your body to be able to get the rest it needs when it needs. There are many ways to fix your internal clock. Stop taking naps. Taking frequent naps throughout the day reduces your brain’s need for sleep. At first, it might not seem like such a deviation but sooner or later your body’s going to have trouble adjusting to the abnormal routine. Don’t take naps throughout the day for several days and trick your body to sleep early at night so the habit can take effect. Don’t sleep in late. Even if you cannot fall asleep when you want, make sure to get out of bed at the same time every day. This gives your body a firm routine to work with. Don’t stray from the routine and let your body fix its rhythm. Cut back on your caffeine intake. Caffeinated drinks like coffee and soda are good for staying awake when you’re feeling drowsy. But drinking too much of those does damage to your brain and affects the quality of your sleep. Give your body frequent workouts. Physical exercise can be very good for fixing the circadian rhythm. It acts both as a stimulant and as a remedy because it tires you out and helps your brain ease you into restful sleep. Switch all your devices off well before bedtime. The light emanated from devices like laptops, TV, phones etc. 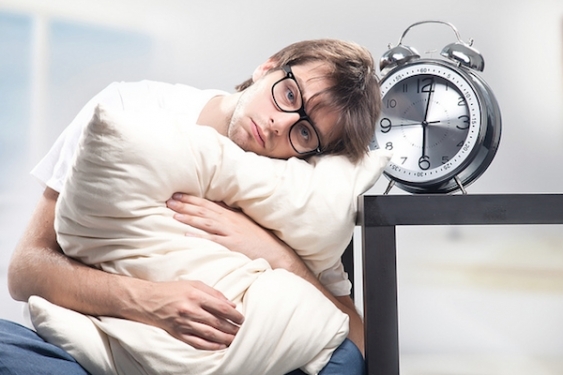 are counterproductive for your sleep. Even night lights can be harmful that way. Shut down all your devices well before bedtime to make sure your brain gets the signal that it’s time for sleep. Ask a doctor for help. If nothing else works, it’s essential that you visit an expert and ask for help. As we’ve said before, sleep deprivation is dangerous for the body and the brain. Any anomalies in the body’s internal clock can prove to be very harmful for you in the long run and should be fixed as quickly as possible.